Whether you’re moving within Oceanside’s beautiful Fire Mountain community or well outside of the area, household moving can be stressful and time consuming. 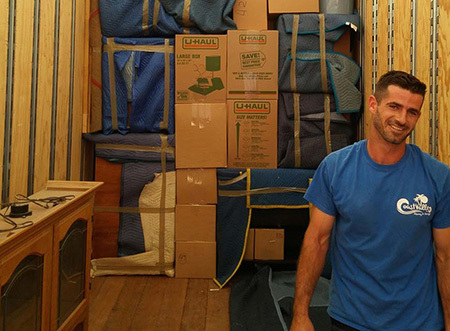 Instead of managing your move on your own, work with skilled Fire Mountain movers who have the experience it takes to simplify any residential relocation! At Coast Valley Moving & Storage, Inc., we’ve been working with residents of the greater Oceanside, CA area since 1972. Our Fire Mountain movers have the skill and knowledge to guarantee a stress-free experience from start to finish. Local Fire Mountain Movers: With a house full of furniture, décor and personal belongings, even local moves can be a challenge. Why not let our skilled team of local Fire Mountain movers make it easier? Long Distance Movers: Relocating 100 miles away can feel like moving to the ends of the earth. Rely on the trusted experts to make it easier. There’s no limit to where our Fire Mountain movers can take you! Small Shipment Moves: For single-bedroom apartments, college dorms, or just assorted household goods, take advantage of our affordable mini moves. If you’re crossing state lines for your big move, count on the relocation expertise of Coast Valley. Our expert Fire Mountain interstate movers have the resources, training and industry experience to help ensure a smooth transition to your new out-of-state home. At Coast Valley, we’re more than movers in Fire Mountain; we specialize in customized moving and storage solutions! As part of your relocation package or as a stand-alone service, we provide flexible storage in securely monitored warehouse facilities. Whether you have bulky furniture or delicate antiques, we’ll safely pack your items in containerized units and safeguard them for as long as you require. If you’d like to see how we can streamline your move into or out of the area, then get in touch with Coast Valley Moving & Storage today! Call us to speak with a moving specialist, or fill out our online form to request a free consultation now.